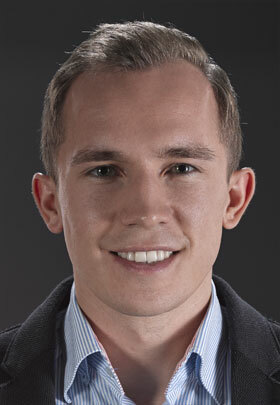 Stanislav Nazarenus is from Germany and currently studying International Business and Management (IBMS) at HU University of Applied Sciences Utrecht, in the Netherlands. “I always wanted to study in English in an international environment. The Netherlands is close to Germany and in my opinion it is one of the most tolerant, kind and humble countries. So making the choice where to study IBMS was easy. At HU University you can study IBMS in three years by doing the FastTrack. This was very appealing to me, it shorts my study time by one year and it gave me the chance to work with inspiring people. What I also like from the IBMS programme is that you can choose between three different specialisations that already start in the second year; International Finance, International Marketing or General Management. I choose the latter. I would like to develop managerial soft skills and necessary creativity to become a successful manager. In every subject we have beside an exam also a group project, where we afterwards reflect each other’s behaviour. In that way you constantly work on your own behaviour and your personal managerial style. HU organizes extra activities for international students, which is nice. Just recently some lecturers organized an international dinner, where you could have tried dishes from all over the world, like India or Malaysia. There is also a student association, GetConnected, who integrates international students in the campus live and help them when they face problems in their study. They also organize lectures from experts that can help the students to prepare for their future career. Living in the city of Utrecht is just great. 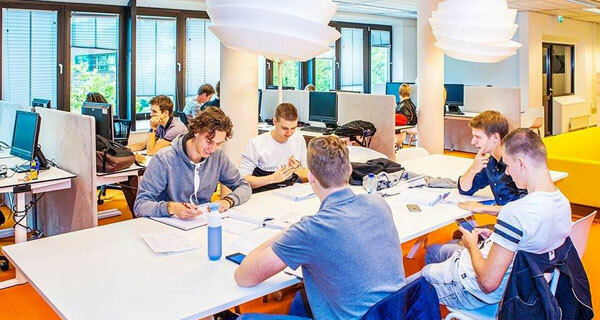 From 330.000 citizens are 70.000 students, which makes Utrecht the student city in the Netherlands. The city is filled with students and many places offer special prices for students. Utrecht offers also a beautiful city centre with great architecture and many restaurants with worldwide cuisine. Please note: the application deadline is the 15th of March!